As a musician and a record label executive, Chris Tanner has gone through the challenges all indie artists face when marketing their music online. Equipped with programming skills and frustrated by the lack of simple solutions for their promotional needs, Chris and his business partner Greg Ashburn started working on a set of scripts for their own projects. The two musicpreneurs quickly saw a huge potential and demand in what Chris was developing, and so Spektrol was born – a collection of marketing, analytics, and business apps now available to everyone in the industry. Today, there is over a dozen tools offered within the platform (most are free), and new features are being added weekly. 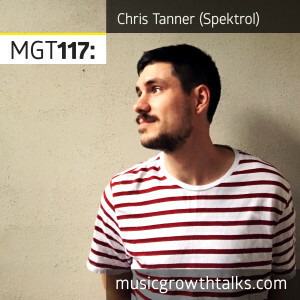 On this Music Growth Talks episode Chris and Andrew discussed the different ways Spektrol and its underlying growth tactics can be used, and talked about Spotify playlist marketing, cold outreach, and even the Atlanta music scene. Listen to the episode in full to learn a bunch of new marketing hacks such as finding influencers you didn’t know you have already been connected to, researching Spotify playlist curators’ contacts, mining emails of your social media followers, pre-saving a Spotify record, analyzing which of your posts perform best, and monetizing content with the help of cryptocurrency.